I just wanted to share these with the forum. I've been using a short piece of 3/4" schedule 1120 PVC pipe to make my fillets. This has an outside diameter of 1.05" (.525" radius) so it makes a great fillet for fiberglass. I looked on the internet for a ball tool to do this and found them. The thing is they were made from stainless and expensive. Every one I found was over $40.00. Here is my solution,. 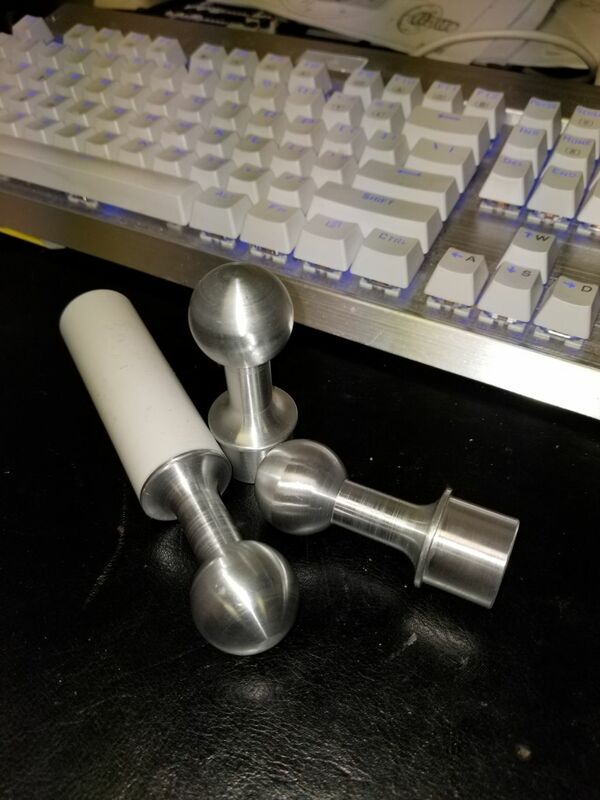 I machined a spherical ball end that matches the PVC. You just press this into a short section of PVC and your set. This truly makes the task easier to do. If a larger size is needed (1.25") I can run them as well. I'm sending samples to Jeff today. I hope you all will want to have one! That is really a good idea. Any idea on the $$? That will be up to Jeff. Nice way to make your hobby part of the business! I bet that these would make the corners much nicer! I shared this on several Facebook groups. You would not believe how many people have told me to just form a radius on a squeegee. I made up something similar but no where as nice. Jeff please let us know if you do stock them. I use a washer on a stick. I can cheat a bit if I am long or short on filler and I know what I can get away with. Gonna be hard to compete with my price. I gotta save every penny I have for Silvertip, right Jeff?